Faced with an increasing demand for sugar-free alternatives in the soft drinks category, lifestyle giant Mountain Dew were set to release their own sugar-free version. However, to resonate with their existing core consumer base, the name needed to pack a punch. Mountain Dew holds a strong place within the community of extremity seekers. They do not compromise, and they definitely don’t do ‘light’. We therefore turned the product’s proposition on its head: It has the same attitude and energy as the original, and, if anything, even more so because it doesn’t rely on sugar to pack a punch. 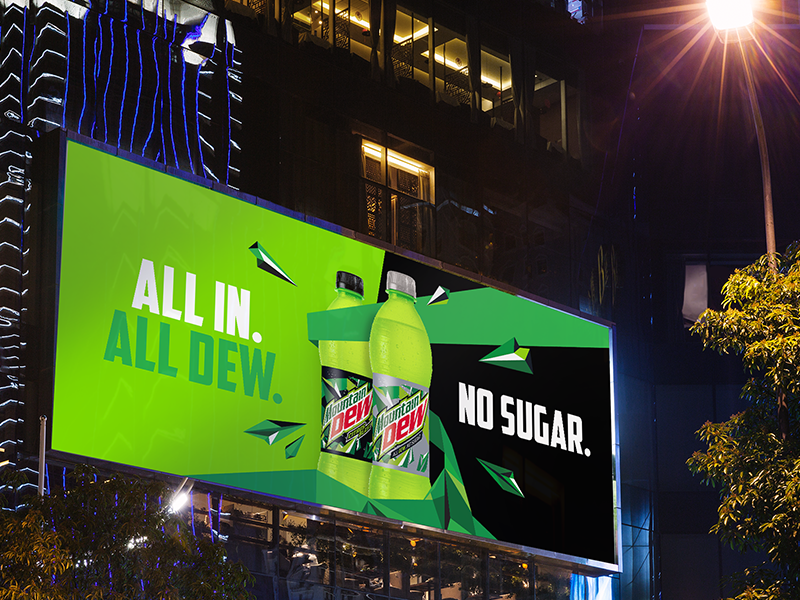 The new name ‘All Dew. No Sugar.’ was created to double as a product narrative that plays on the community’s all-or-nothing way of life. 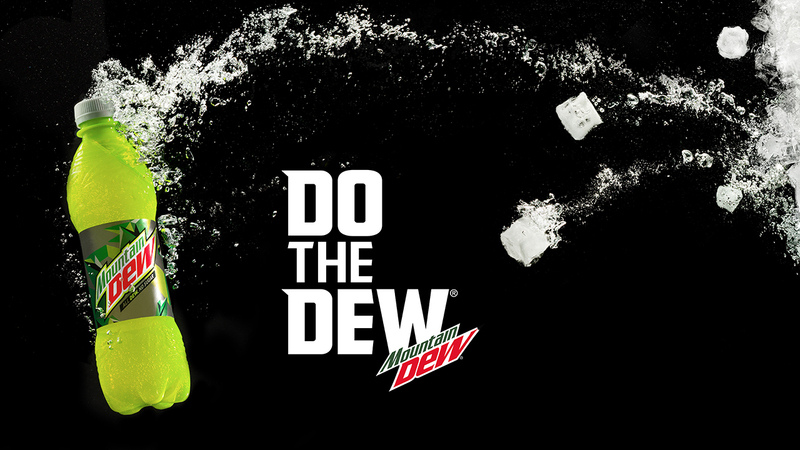 All Dew. No Sugar. represents an all-in way of life, capturing our audience’s urge for a completely uninhibited approach to doing what they love. 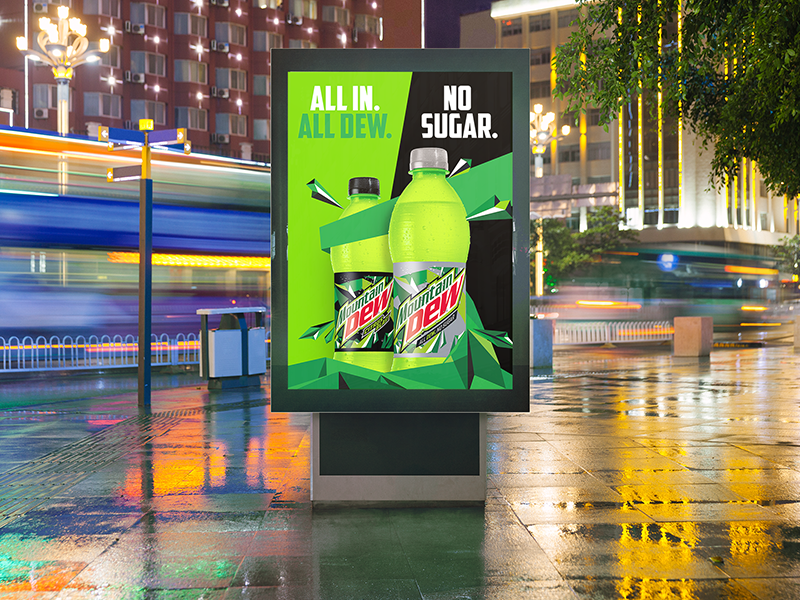 We took what’s best about the original Dew and made it the core of the new identity to launch the product across Europe.